Nottinghamshire | All bikes are go ! All bikes are go ! This month is full of bike related events with meetings, bikerides and film screenings. Time to get on yer bike ! Two film makers from the US, who made the film 'Still we Ride' about the Critical Mass in New York and the constant repression it receives, are coming to Nottingham. Their film will be screened at the Broadway Cinema on September 28th at 6pm, followed by a short introduction. Nottingham's monthly Critical Mass will take place again on September 30th, leaving from the Savoy Cinema on Derby Road at 5.30pm, followed by a social at the Sumac Centre, with some short Critical Mass films (tbc). 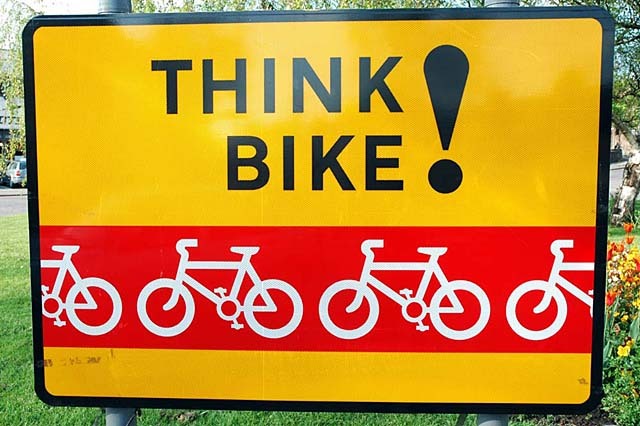 Pedals, a local group campaigning for better cycle facilities in Nottinghamshire, will hold their monthly meeting in the Globe Public House, 152 London Road on September 19th. On Friday August 27, 2004 just days before the start of the Republican National Convention, a massive police operation was underway. By the end of the night 264 people were arrested. It marked one of the largest mass arrests in New York City's history - and the arrested had done nothing illegal. For many New Yorkers, August was the first time they heard of what has become a monthly ritual for New York City's bike community; a free-forming ride called Critical Mass. Still We Ride is a documentary that captures the joyous atmosphere of this August ride before the arrests began and the chaos that followed. It recounts how this ride first started in San Francisco over 10 years ago and chronicles the police crackdown and resulting court battles in New York over the last twelve months. The movie takes on issues of civil liberties, surveillance, the power of mainstream media, and the benefits of alternative means of transportation.